Three women from three different Areas of the Federation are hoping to be elected to the top positions on the NFYFC Council this February. Lynsey Martin, 29, from Ashford & District YFC in Kent, Katie Hall, 29, from Tewkesbury YFC in Gloucestershire and Laura Elliott, 29, from Gower YFC in Glamorgan have all submitted their nominations to Council and will stand for election at the next Council meeting on 18 February. Lynsey, who has been a Vice Chair of Council for the past two years, has submitted her nomination for Chairman and has plans to champion more agricultural education in schools should she be elected to the post. “I am passionate about raising the profile of the industry as a viable career prospect to all young people. 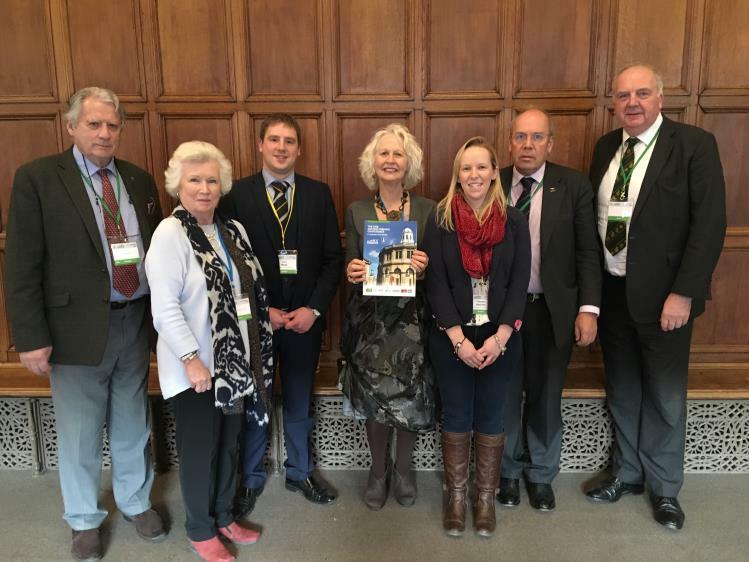 This is a huge topic which the industry is beginning to address and as your representative I will be challenging the industry to support NFYFC to achieve this,” said Lynsey. This will be the second year that Katie will stand for election as Vice Chair and she is keen to build links with city farms to raise awareness of the importance of farming. It will be Laura’s first position as part of the NFYFC Council’s top table but she is currently the Wales FYFC Chair so is well versed on being a leader at a national level. Laura is keen to focus on recruitment and retention and as part of the Events & Marketing Steering Group, she has contributed to National Young Farmers’ Week and wants clubs to build on this activity. “Recruitment and retention are an ongoing challenge and it fascinates me, as well as frustrates me, that we are able to achieve the same percentage in loss of current members and gain in new members each year,” said Laura. The NFYFC Council will meet on 18 February where each candidate will be proposed and seconded for the roles ahead of Council voting on their appointments. If their elections succeed, it will be the first time since 2012 that there will be three women at the helm of the organisation. Opportunities for YFC members to join the NFYFC Council by being co-opted on to it are currently available too. For more information about getting involved, see here. Freelance livestock worker. Member of YFC since she was 18. 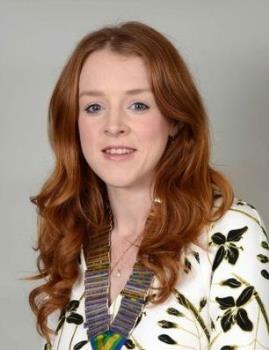 Lynsey has held many club and county positions as well as being Chair of the national AGRI Steering Group before standing for the position of Vice Chair of Council two years ago. As AGRI Chair, Lynsey attended CEJA meetings and ensured young farmers’ views were heard in UK discussions post-Brexit. Getting involved in the Big Bang Careers Fair has encouraged Lynsey to push the promotion of agricultural careers in schools and to ensure everyone is aware of the opportunities the industry offers. Project Officer at Swansea University. Member of YFC since she was 11. 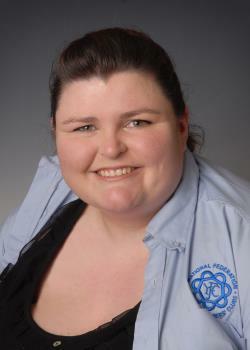 Laura has held numerous positions at club and county level and is currently Wales FYFC Chair. She is a former winner of Senior Member of the Year, which was a catalyst for her interest in being elected for national positions throughout the Federation. She has been involved in planning and organising the YFC activities at the Royal Welsh Show and has chaired meetings and has discussed issues with Government figures as well as YFC members. Laura enjoys being a leader and is keen to help progress the Federation through a focused approach to tackling priority projects. 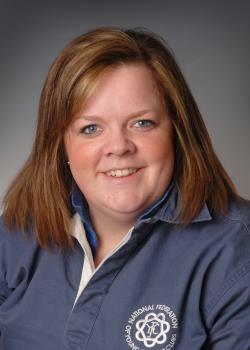 Regional Sales Manager/Calf Nutritionist. A member since she was 18. Katie has held positions at club and county level as well as being the Events & Marketing Steering Group Chair and a Vice Chair of Council for one year. Katie has been on many adventures through the YFC Travel programme and is keen to promote the programme’s benefits to more members. She has developed skills through the YFC training programme and through her role on national Council leading the Events and Marketing Steering Group on planning for Annual Convention and general communications. Katie is keen to share the benefits of YFCs with a wider audience and to promote farming opportunities. She is keen to create links with city farms and to set up a schools liaison link in every County Federation. This February, any member of the YFC can be nominated to be part of the NFYFC Council as a co-option and/or be elected as a co-option to sit on one of the five steering groups that help shape NFYFC activities and events. Each Steering Group offers three additional co-option places. These places are available to current YFC members, associate members or individuals (non-YFC members) with special knowledge of a topic that will support the steering group and its work. See the details below for the skills each steering group is looking for from YFC members. 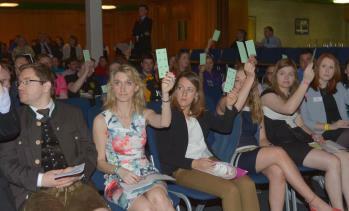 NFYFC Council members are able to co-opt a maximum of 16 people to the NFYFC Council. These co-option places are open to both individuals and organisations (up to 10 places) that can offer expertise, knowledge and experience to support the NFYFC Council to make informed decisions. Individuals are co-opted for a one-year term and can be co-opted for a maximum of three terms (i.e three-years). Potential co-options can submit a statement of approx 100 words giving an outline of the expertise and experience that they could bring to the Steering Group and/or Council and why they should be co-opted. For more information about co-options see the full details here. Submissions should be completed using this form here or an email can be sent to Sandra Bromley by 12 noon on Friday 16 February. CAN YOU OFFER THESE SKILLS? The Agriculture and Rural Issues Steering Group is seeking applicants who have an active working knowledge of, or particular interest in, farming and rural industries, agricultural and rural allied industries, education or policy. For further information please contact Sarah Palmer 024 7685 7213. The Competitions Steering Group is seeking applicants who have skills in at least one of the following areas - sports, farm skills, stockjudging and speaking. For further information please contact Margaret Bennett 024 7685 7216. The Events and Marketing Steering Group is seeking applicants who are experienced marketeers, skilled event managers, social and/or printed media experts. For further information please contact Erica Attwood 024 76 857 218. The Personal Development Steering Group is seeking applicants who have knowledge of either youthwork, travel or training. For further information please contact Cath Sykes 024 7685 7220. The Youth Forum is looking for members aged 10-20 who are interested in ensuring that YFC offers exciting opportunities for the younger members in terms of the competitions, events and projects they can access within the organisation. They work with the other four NFYFC Steering Groups and Council to ensure that members aged 10-20 have a voice. For further information please contact Jodie Green 024 7685 7222. Scott Mills and Chris Stark from BBC Radio 1 have confirmed they will play the Saturday night at Annual Convention 2018 when 5,000 young farmers will be glowing in the dark in their fancy dress outfits! 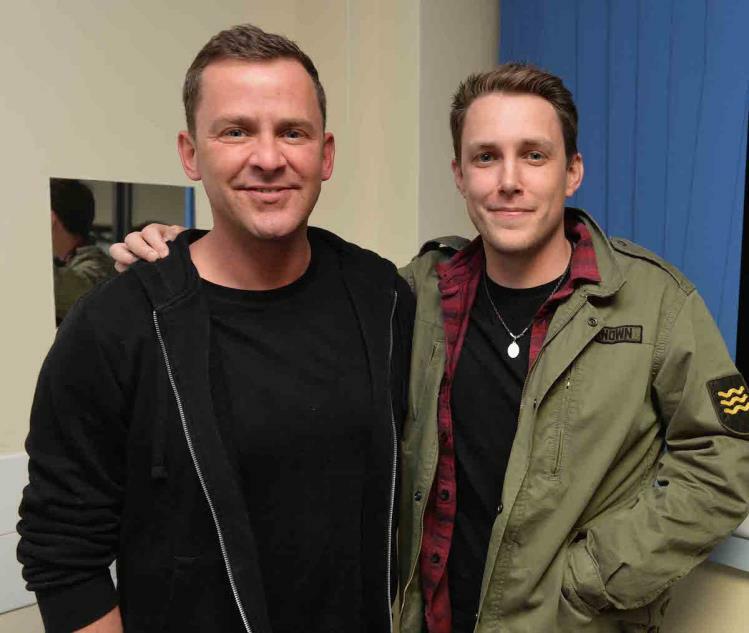 The famous duo, who are both NFYFC Ambassadors, will be hitting the decks at Convention for the fourth time (five for Chris) and it will be the third time they have played together in Blackpool for YFC crowds. The fancy dress theme was chosen by YFC members in an online poll and Glow in the Dark was the clear winner out of this year’s three choices. 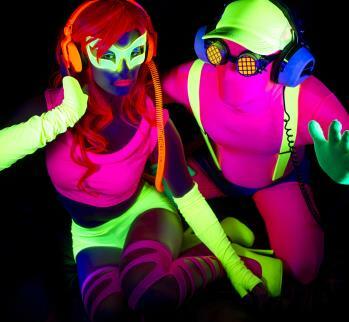 YFC members will now be coming up with creative ideas on how their costumes can ‘light-up’ Convention. The fancy dress night is one of the most popular events over the weekend (4-6 May) and Events and Marketing Steering Group Chairman Katie Hall said it was amazing to have the boys back again. Two more exciting DJs are set to be announced for the Friday and Sunday nights at Convention, along with a list of live bands and fun daytime entertainment. NFYFC will be announcing Convention news over the next few weeks on social media so look out for the updates or keep checking www.yfcconvention.org.uk. To buy tickets, find out more information here. Two full days of networking and learning have helped two YFC members think about the future industry changes needed to survive. Tom Wells from Brigg YFC in Lincolnshire and Emma Kelcher from Soham YFC in Cambridgeshire were awarded NFYFC scholarships, sponsored by The Worshipful Company of Farmers, for the Oxford Farming Conference (OFC) in January this year, where the theme was about embracing change. The pair were among 50 scholars at the OFC and as well as the full conference programme, they were given a media training session with mock interviews from Radio 4's Anna Hill, group exercises, analysing food retail in Oxford city centre and a welcome reception from the McDonald's agricultural team. The conference also concluded with a Scholars' Workshop where they worked in small groups to talk one-to-one with industry leaders including: Minette Batters; the BBC botanist, James Wong; Farmers Weekly editor Karl Schneider; Mark Suthern, Barclays' National Head of Agriculture, together with senior representatives from LEAF and Farm Africa. Conference discussions on the digital revolution and lectures on the environment and food helped both scholars think about the future.